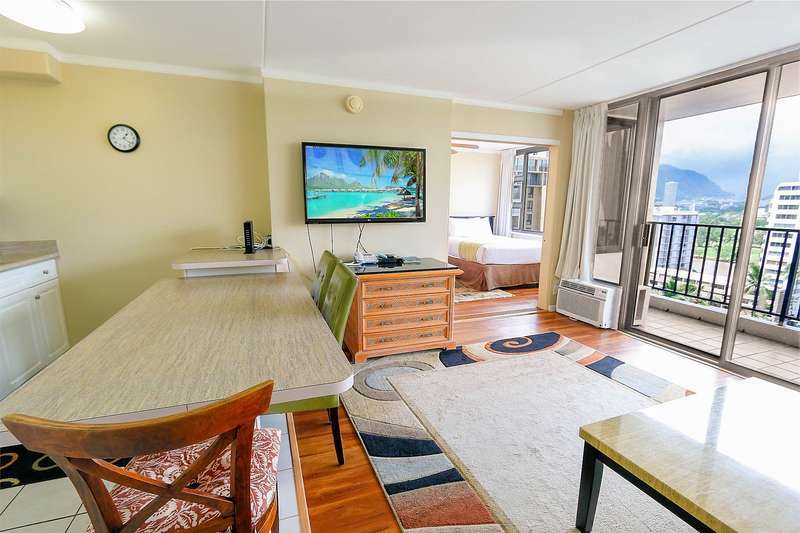 Enjoy paradise and save money in this well kept Waikiki condo suite! 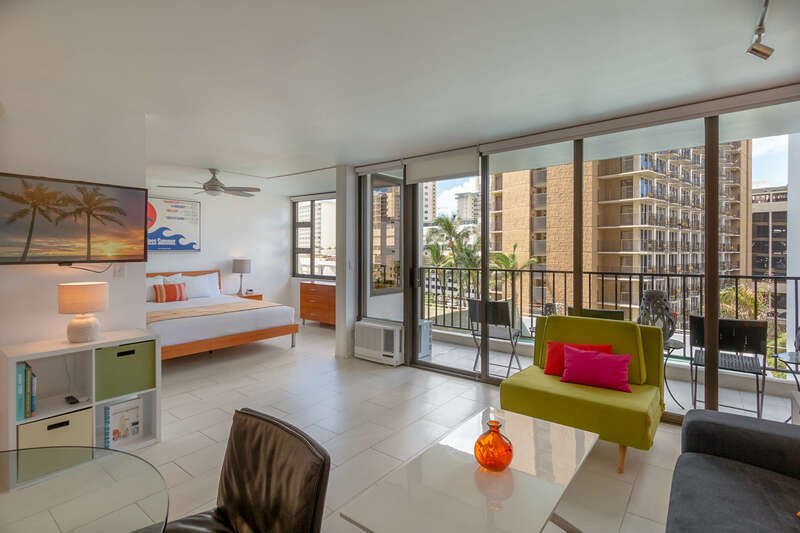 Waikiki Banyan condo only one block from world famous Waikiki Beach. Condo suite is located on the 23rd floor and has a great partial view of the ocean and Diamond Head Crater! Enjoy a fully-equipped kitchen and comfortable seating in the living room. Kitchen includes refrigerator, range, microwave, rice maker, coffee maker, and other kitchen wares. There is a dining room table with seating for four people. 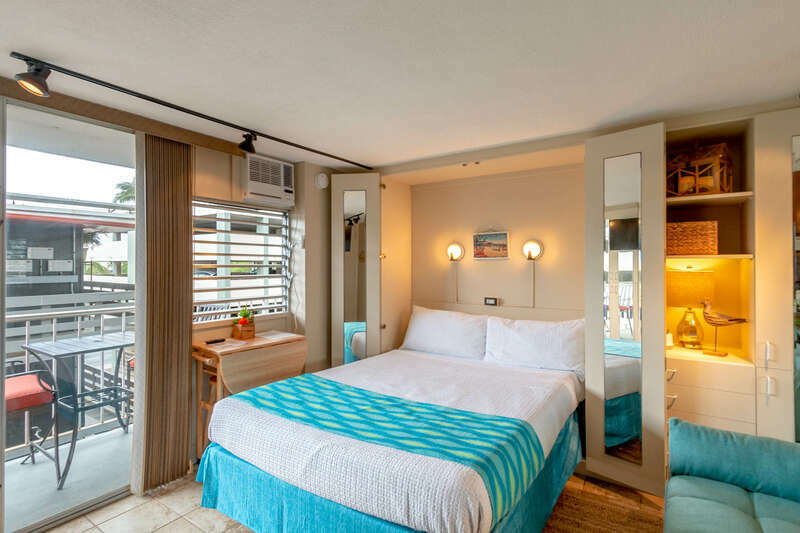 Convenient sleeping arrangements include two queen-sized mattresses (changed in 2016) in the bedroom, along with a sofa sleeper in the living room. There is a door between the vanity and the toilet for added privacy. The bathroom also has a washlet toilet and a hand shower for your comfort.